We all know very well that in recent times, the social media giant Facebook is putting a lot of emphasis on incorporating new features into its app, Messenger app and as well as to its web platform. Now, according to the latest reports, the social network giant Facebook just added this awesome new feature to its Messenger app. 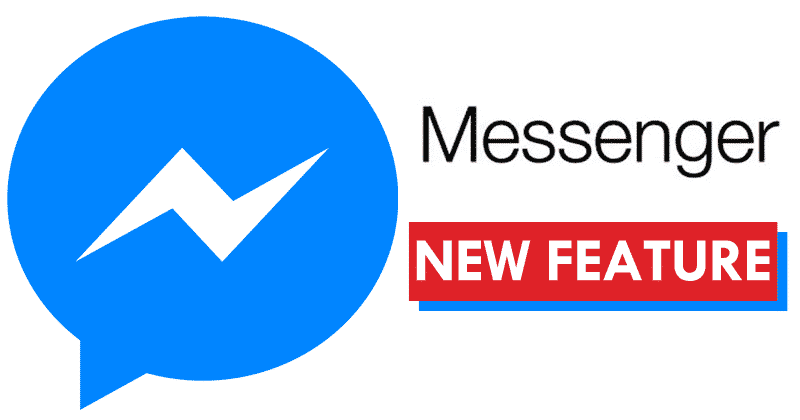 Have you mistakenly sent a message on Facebook Messenger? Don’t worry, as from now on the Mark Zuckerberg’s social network giant Facebook will simply let you do so. If you have sent a message by mistake and it has already been received and read, now you can remove it. The social network giant Facebook recently announced that now any user of the Facebook Messenger can remove the messages that are already sent. Yes, something that until now was only available to executives of the social network giant Facebook itself. As we told that this new and most awaited feature was announced by the social network giant Facebook itself through its official blog and will begin to reach users gradually. Hence, simply stay tuned for the most anticipated update of Facebook Messenger. The social network giant Facebook ensures that the functionality is already being distributed to all users of its service as we told. While the social network giant Facebook also guarantees that you can remove messages in the group conversation as well. What you have to do to remove a message already sent is that you have to hold the message and next to it instantly a pop-up menu will appear in which you will get the option to remove the content or message. However, the social network giant Facebook also stated that you can only remove a message from Facebook Messenger within 10 minutes of sending it. In other words, if it has already been more than 10 minutes since you pressed the submit button, then keep in your mind that you can not remove or delete it. Moreover, many of you may not remember that about a year ago the social network giant Facebook was testing this same feature and now finally it has released this feature via an update to all its users. But, the fact is that earlier when the social network giant Facebook was testing this feature at that there was some controversy happened simply due to the availability of this feature was limited to its executives only. While now everything seems to be under control, as the social network giant Facebook finally announced the launch of its most awaited and anticipated feature of Messenger. So, what do you think about this? Simply share all your views and thoughts in the comment section below.